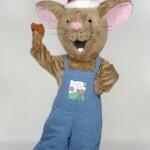 Meet the famous Mouse from the Mouse series of books by Laura Numeroff. 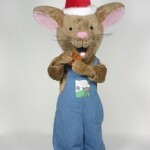 Mouse is looking forward to scampering to see his friends and to hopefully meet some great new friends as well. 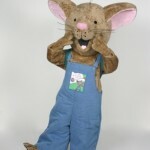 The wearer of the Mouse costume should be 5’ 2” to 5’ 4” and weigh between 120 and 160 lbs. 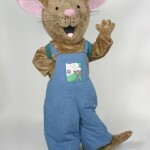 The rental fee for the If you Take a Mouse to School… costume has been graciously provided by Harper Collins Publishers for promotional use only at schools, libraries, and bookstores. The only cost to you is Second-Day Air shipping arranged by Costume Specialists to send the costume to its next event which is only $160.00.